Not sure why that's not showing for you. I emailed Mr. Bill and he sees them. I'm doing Google photos instead of PB. I was looking through my pics and found this one. 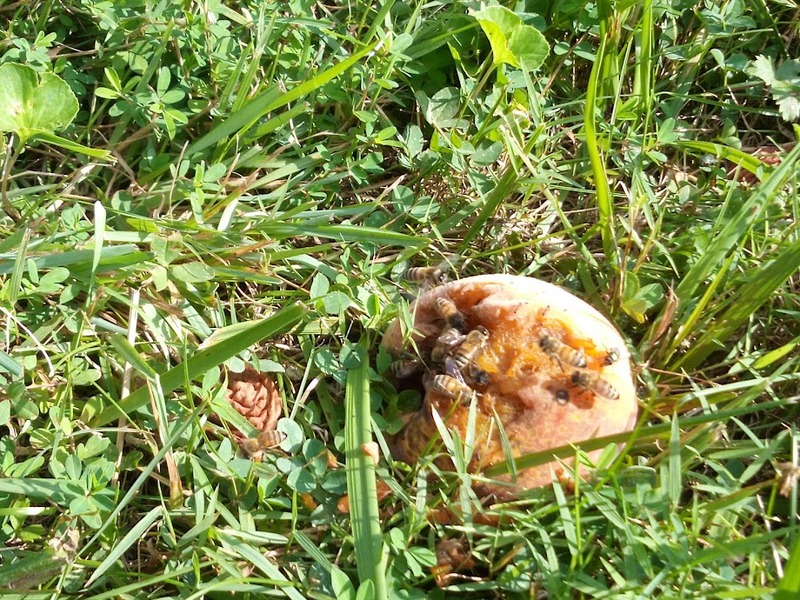 I didn't realize that honeybees would harvest the fallen fruit in my "orchard" but there you go. No Idea. Not seeing that one either. I'll try my desktop after bit. You mentioned PhotoBucket, are you seeing an image saying that I need to upgrade my photobucket account? Adjusted permissions to the album, you see them now? No PB notice. Just a small round with a light colored slash in it. I have a similar issue with the wasps in my neck of the woods... It all starts with the birds... once they damage fruit on the trees, the wasps swarm in and begin eating all the fruit (while still on the trees). I have no idea where all the wasp nests are (not on the house or we'd have removed them), but I had to be very plucky to get out and harvest the fruit while avoiding the feeding wasps this year. I'd be a lot happier if it were bees getting that delicious harvest. 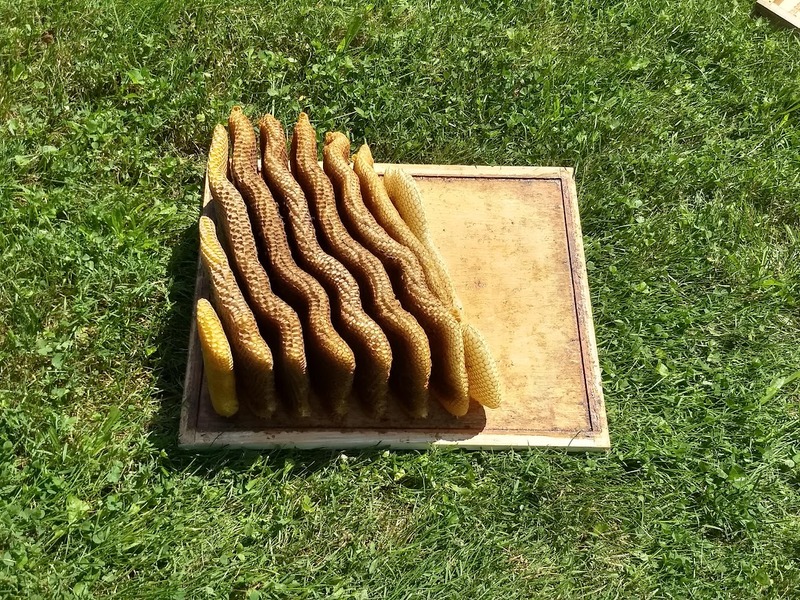 Great visualization of "Bee space"